Earlier this month, Capcom dropped a Monster Hunter: World beta onto the PlayStation 4. The only catch was that you needed a PlayStation Plus in order to play it. Today, in fact right this very minute, a new beta is available on the PlayStation Store that is open/available to everyone, regardless if you have PS+ account. Based on the news post announcing the beta over on the Monster Hunter: World website, it sounds like this will be the very same beta that was PS+ only a couple weeks ago. 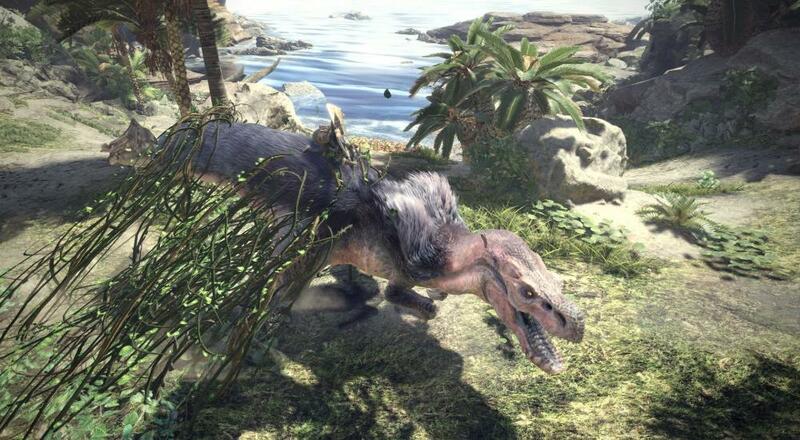 The beta can be played alone or with up to four friends online, and it will feature three hunting quests (Great Jagras, Barroth, and Anjanath). You'll be able to try out and use each of the 14 weapon types, and regardless of whether you team up with others or not, your friendly Palico will be along for the ride. As there doesn't appear to be too much different between the two betas, I've included the "Beta Guide" video below that Capcom posted for the last beta. Monster Hunter: World is available worldwide for the Xbox One, PlayStation 4, and PC on January 26, 2018. Four player online co-op is supported while taking on monsters.